When I was a kid, I loved playing The Game of Life. 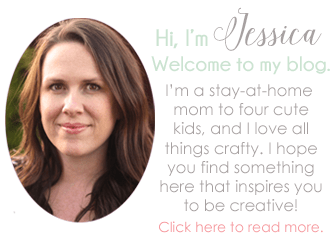 Imagining what career and family I would have someday was always so fun! 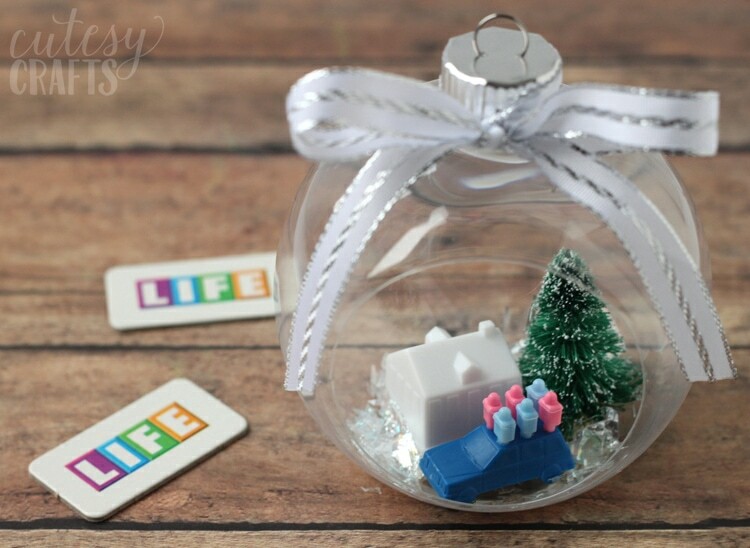 My kids love to play the game now too, and I thought it would be cute to make an ornament with some old game pieces. 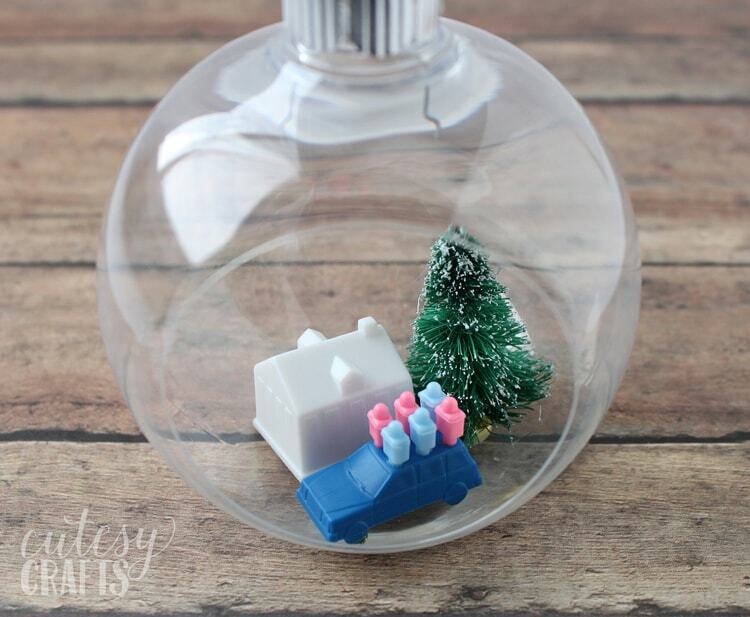 Don’t worry, no games were harmed in the making of this ornament. I ordered the pieces off eBay from someone who was selling extras. The little people pegs represent our family! Just enough to fill up the car. Perfect! 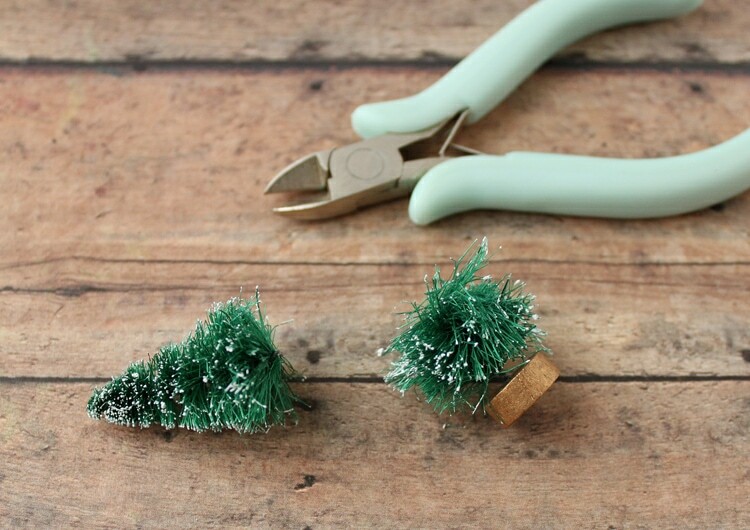 If your tree is too tall, use some wire cutters to cut off the bottom. 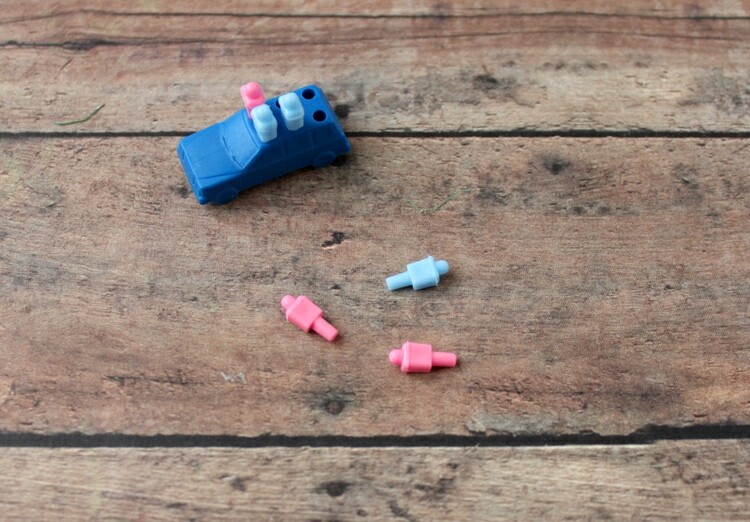 Use a VERY small amount of hot glue to secure each of the people pegs in the car. I just dipped the very bottom of each peg in some of the hot glue dripping out of my glue gun. 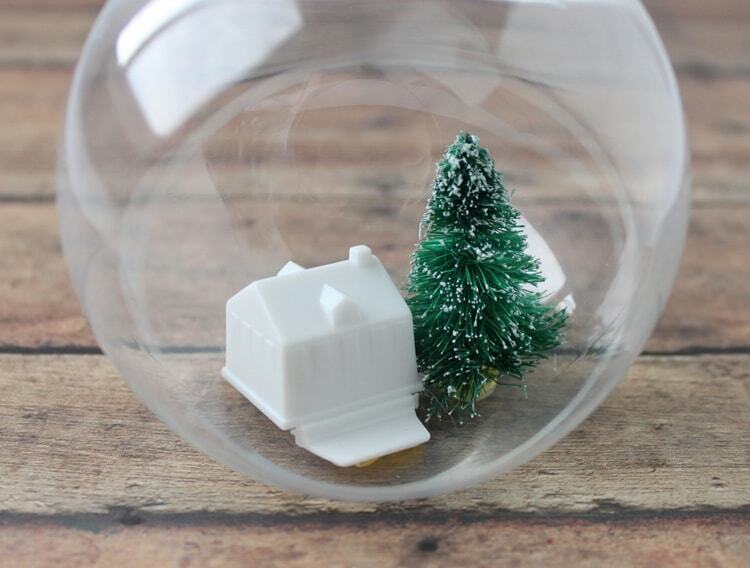 Hot glue the tree and the house to the bottom of the ornament. Next, hot glue the car in front of the house. 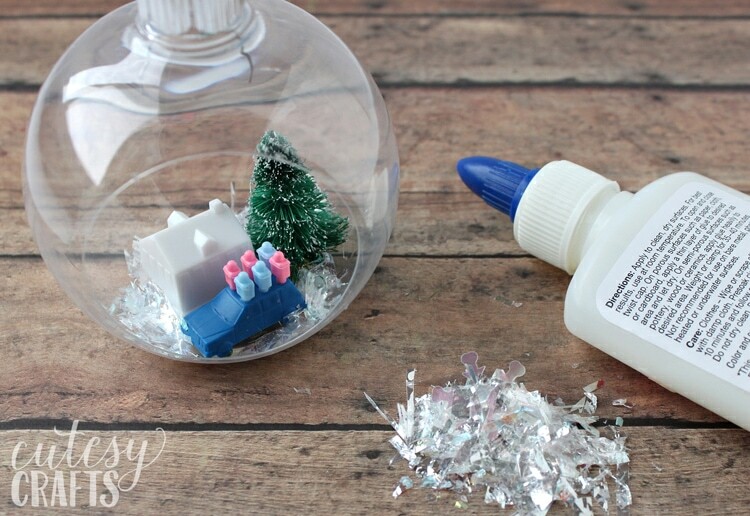 Spread some white school glue around the bottom of the ornament and sprinkle some fake snowflakes on top. 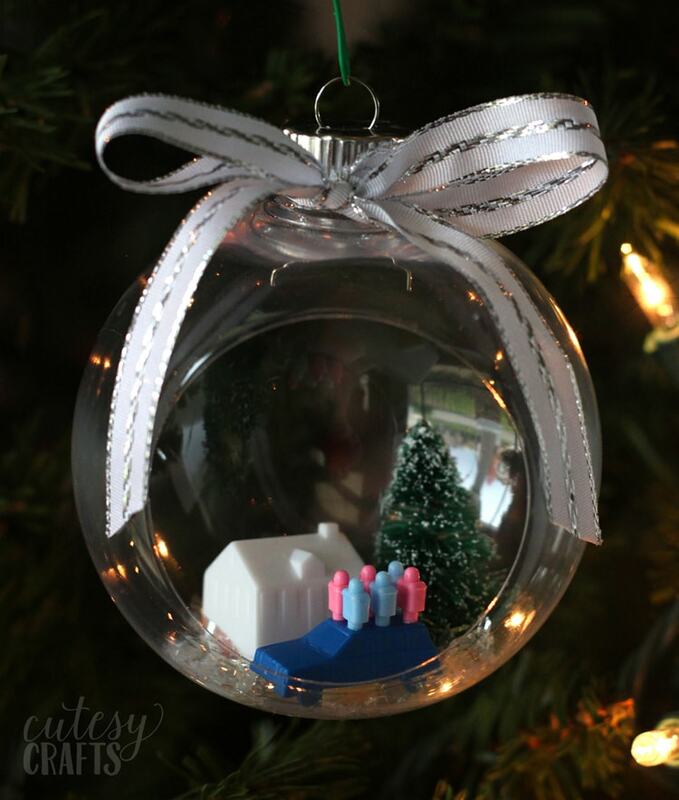 Tie a ribbon to the top of the ornament, and you’re done! You could even write the year on the ribbon or somewhere on the ornament if you wanted. 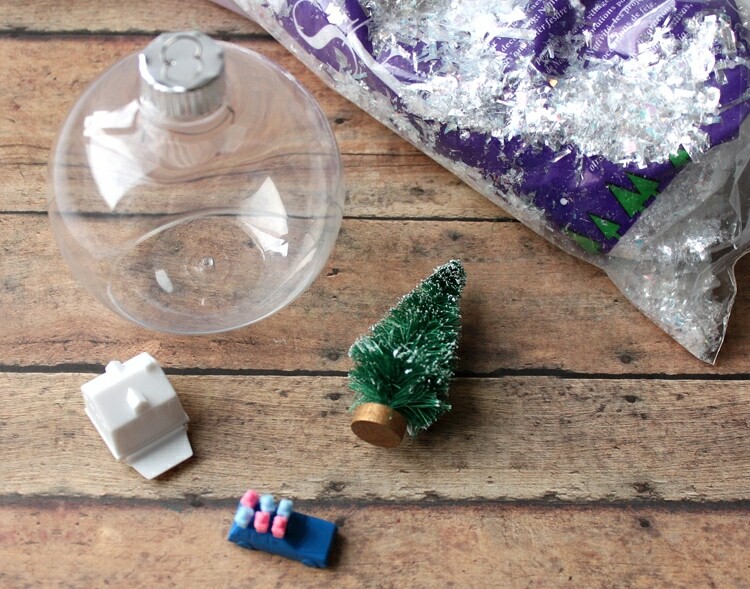 Check out my homemade Christmas ornaments page for more great ideas!